BRATISLAVA, Slovakia (JTA) -- In 1989, on the eve of the fall of communism, the American poet Jerome Rothenberg published a powerful series of poems called "Khurbn" that dealt with the impact of the Holocaust on Eastern Europe. 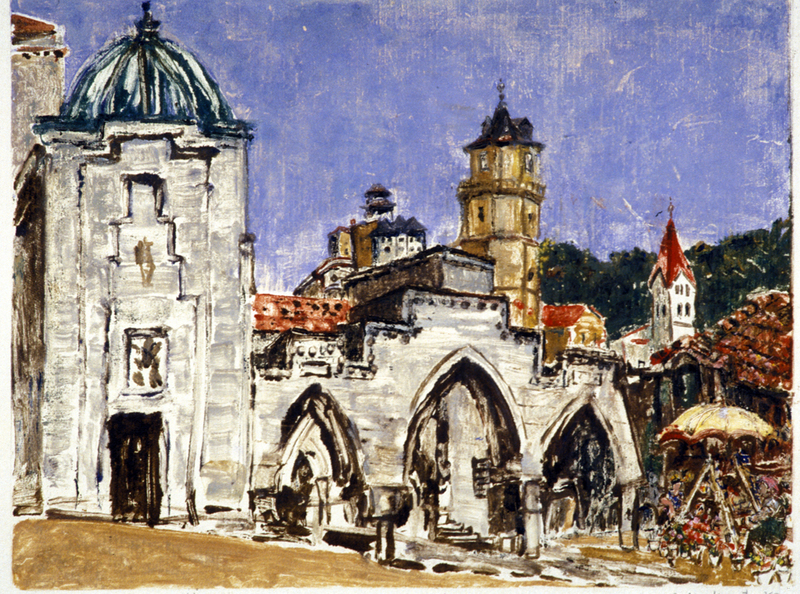 In one section, he recorded conversations he had had in Poland with local people who had little recollection of the flourishing pre-war Jewish presence. "Were there once Jews here?" the poem goes. "Yes, they told us, yes they were sure there were, though there was no one here who could remember. What was a Jew like? they asked. "No one is certain still if they exist." I often think of this poem when I travel to far-flung places in Eastern and Central Europe, and it was certainly on my mind on a trip to Slovakia this August. That's because yes, there are still Jews here, and the post-Communist revival has reinvigorated Jewish communities in the region. But also, despite this, numbers are still so small that even in many places where Jews once made up large parts of the population, Jewish history and heritage have been, or run the risk of being, forgotten. "Look," my friend Maros Borsky reminded me in Bratislava. "Kids who were born after 1989 don't even remember communism." Borsky is trying to do something about this -- which is why I was in Slovakia. In May 2009 I wrote about the need to save the wooden synagogue of Ivanetz, Belarus. At that time local Jewish activists and preservationists were determining the feasibility of the project. The building was used as a movie theater from the 1950s to the 1980s, and then as a dance club. Ironically and tragically, given the fate of the Ivenetz Jewish community, the last tenant was a private business which produced tombstones. The Belarus Jewish community obtained the building last year, and now the Jewish Heritage Research Group in Belarus is restoring it for use, probably as a Jewish research center and archive of Ivenets and region, as well as a Holocaust educational center. I am happy to report that Yuri Dorn, Coordinator of Jewish Heritage Research Group in Belarus writes that the restoration project of the Ivenetz synagogue is moving forward. This summer a front door has been replaced and exterior protection blinds have been installed on part of the windows of the building. The next phase is to build the fence and to restore the original facade of the building. Contributions are welcome to continue this work. Even small amounts can make a difference. (Almost) breaking news...almost all my memories of New York's Jewish Museum are of Joan Rosenbaum's Jewish Museum (true, I worked more with Judaica curator Vivian Mann, whose priorities and vision were somewhat different than Joan's). I'll write more about Joan's legacy for Jewish art, for Jewish museums and for New York City at a later date. She'll be a tough act to follow! NEW YORK (JTA) -- The Jewish Museum of New York has named Claudia Gould as its new director. Gould, director of the Institute of Contemporary Art at the University of Pennsylvania, will succeed Joan Rosenbaum, who has served in the position for the last 30 years. The 107-year-old museum located on the Upper East Side of Manhattan is dedicated to “the artistic and cultural heritage of the Jewish people," according to its mission statement. My sister Ruth Ellen Gruber has recently been traveling in Slovakia with our friends Maros Borsky, Rabbi Andrew Goldstein and others. Read her thoughts about the trip, and check out her blog for more reports. In May, 2011, not knownig Ruth was taking this trip, I encouraged people to do the same and wrote about some of Slovakia's outstanding Jewish buildings, including the ones Ruth writes more on here. I wrote about these contradictory feelings at length in the introduction to my book Jewish Heritage Travel. And Rabbi Andrew Goldstein touched on this theme in the sermon he gave after our trip to Slovakia this month following the Slovak Jewish Heritage Route (which I posted HERE). That is why he and his wife, Sharon, held informal "services for synagogues" in a couple of the synagogues we visited -- notably the still semi-ruined one in Liptovsky Mikulas and the Status Quo synagogue in Trnava, now an art gallery. Read the entire blogpost and see more of Ruth's pictures here. Publications: Kravel-Tovi on Katz, "The Visual Culture of Chabad"
Potomac, Maryland. 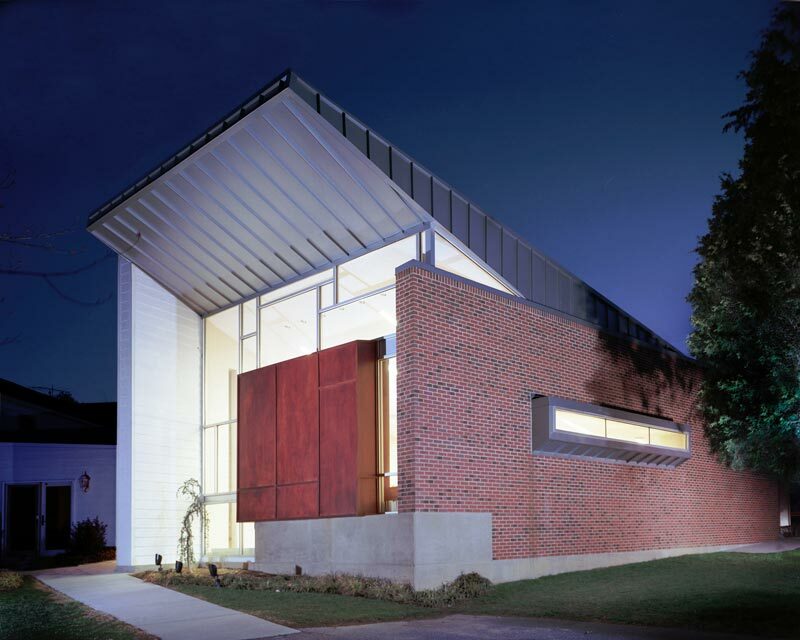 Chabad Center of Greater Washington, Shinberg/Levinas, architects. Photo courtesy of Shinberg/Levinas. I haven't had a chance yet to read Maya Katz's new The Visual Culture of Chabad but look forward to doing so soon. Meanwhile, I post a recent review from H-Judaica Michal Kravel-Tovi (University of Michigan). This book clearly delves deep into the history and beliefs of Chabad, and also Chabad's survival and growth mechanisms. Katz mostly deals with Chabad 2-D imagery, espeivally portraits, but she touches on other forms of artistic expression and media. My own interest is this right now is two-fold. First, Chabad is now commissioning new architecture, such as small and elegant Chabad Center of Greater Washington in Potomac, Maryland by Shinberg/Levinas. Also, Chabad's by its massive presences throughout the world, and especially in Russia and Eastenr Europe, is deteriming Jewish visual culture for the next generation through its decoration of synagogues, schools and other institutional buildings. Lastly, Chabad is taking over many synagogues built by and for other Jews, from very old buildings, to new ones like the synagogue in Dresden, Germany. How will Chabad interpret, preserve and present the visual culture it has inherited? Unlike movements in much of American Judaism, Chabad's taste is influenced and largely controlled from a single place - 770 Eastern Parkway. Like many past Jewish movements Chabad is expansive, but at the same time it is uniquely centralized. That said, I've spent time with Chabad emissaries in far flung parts of the world and have seen how they have influences - and been influences by the non-Chabad world in which they live - often as a lonely minority. Given this, the evolution of Chabad visual culture may evolve in similar ways to other Jewish art in the past. In The Visual Culture of Chabad, Maya Balakirsky Katz directs her perceptive scholarly gaze to the expansive field of visual culture that has come to mark the Hasidic movement of Chabad. Katz focuses on the array of images, personal portraits, and visual artifacts that so extensively permeate the public surroundings and daily experiences of those who encounter and participate within this global religious movement. Throughout the text, one is struck by Katz's attentiveness to phenomena that, pervasive as they are, might otherwise escape the eye or appear trivial. But nothing is trivialized in Katz's study of how Chabad has produced, consumed, and embedded itself within a rich, two hundred-year-old visual tradition. Rabbinical portraiture of the Chabad dynasty, the Chabad printer's mark, public menorahs, and replicas of "770" (the central headquarters of the Hasidic court, located at 770 Eastern Parkway in New York City), among other material expressions, are all examined within the pages of this book. In conducting such an examination, Katz successfully chronicles some of the yet untold aspects of Chabad's social history. Indeed, rather than only unpack the aesthetic choices and visual tastes expressed by Chabad, the book reflects a broader scholarly agenda--to "tease out how the social life of 'things' ... provides insight into Chabad's social life" (p. 227). Through both a careful historical excavation and a close reading of Chabad's visual productions, the author offers an insightful analysis of how individuals, organizations, and communities within Chabad learn to both make visible and perceive their religious worlds. Since these undertakings have made Chabad one of the most visible movements in the contemporary Jewish world, The Visual Culture of Chabad can be read as a book about the interrelated dynamics of visuality, public visibility, and religious piety. These dynamics reveal the extent to which there is more to Chabad's visual culture than meets the eye; Katz offers a multilayered analysis of how historical, social, and institutional forces have underwritten the visual engagements of the Chabad movement. These engagements, Katz argues, have played a constitutive role, rather than solely a reflective one, in the development of religious ideologies and devotional practices among Chabad Hasidim. The structure of the book conveys Katz's commitment to both visual culture and to her disciplinary orientations as an art historian. The Visual Culture of Chabad is organized along the thematic, material lines of visual culture; but Katz also temporally situates the objects investigated here with a historical analysis that unfolds both within and across chapters. The eight chapters are divided into two parts. The first part (chapters 1-4) focuses on rabbinical portraiture--from the portrait of Rabbi Shneur Zalman of Liadi, the late eighteenth-century founder of the Chabad movement, to the contemporary religious and messianic industry revolving around the image of Rabbi Menachem Mendel Schneerson. The second cluster of chapters (5-8) focuses on material objects that take center stage in Chabad's public life, from the building of "770" and its replicas to museological displays. Though in these chapters Katz develops the structure of her text in relationship to a particular object, detailing in each case a nuanced historical narrative, the book avoids fragmentation into a series of isolated stories. The chapters, effectively framed by the book's introduction and postscript, coalesce to produce a dynamic and well-integrated account--one that is held together by the numerous analytical and methodological threads (dealing specifically with the intersection of visual culture and religion), which are skillfully woven through each chapter. However, the strength of the book lies less in the novelty of these analytical and methodological threads than in the richness of Katz's account of Chabad's material trajectory. The author, for example, does not coin new concepts, nor does she problematize extant theoretical frameworks of visual culture. Also, while uniquely applying an analysis of the "sacred gaze" to a Jewish rather than Christian context, the author fails to explain what we might learn about Jewish visual piety from the case study of Chabad. Finally, the structure of the book, particularly its division into thematic clusters of "the rebbe portraiture" (and thus of images of subjects) and "objects of Hasidism," would have been better reinforced if it had been grounded in the analysis of subject/object relations that is so prevalent in scholarly discussions of material culture. These unexplored theoretical trajectories do not lessen the power of The Visual Culture of Chabad as a truly original work on the Chabad movement. In the context of a scholarly discussion that has predominately dealt with textual representations, Katz's analysis of the crucial role of visual material culture in the formation of the religious messianic movement that Chabad has become yields an especially innovative account. The perspective of visual culture not only allows Katz to employ a refreshing terminology (such as "Chabad image bank," "devotional portrait," and "visual messianism"), but also allows Katz to introduce new narratives about Chabad's development. Even if Katz is not the first scholar to refer to or engage with Chabad through the lens of visual culture (see, for example, Richard Cohen's epilogue in his Jewish Icons , Jeffrey Shandler's chapter on Chabad in his Jews, God, and Videotape , or Samuel Heilman's chapter in Jack Wertheimer's edited volume Jewish Religious Leadership: Image and Reality ), she adds a number of new and valuable pieces to the discussion. Furthermore, while a book exploring the dynamics of a continuously evolving empirical field can never fully constitute, in and of itself, a comprehensive project, the book's breadth remains quite remarkable. The cover of the book--its own visual representation--appears to frame it as an analysis of Chabad messianism. After all, it features the face of Rabbi Menachem Mendel Schneerson, the celebrated icon of Chabad's messianic campaign, displayed on a New York highway billboard with a written message heralding the immanent redemption. However, by covering a range of themes, including institutional infrastructure, leadership, and the movement's relationship with cultural Zionism, Katz's contribution to the literature on Chabad transcends the issue of messianism alone. Ultimately, the book offers new understandings of how Chabad has endured, and even thrived, despite numerous moments of crisis. Take, for example, how Katz's analysis of photography during the tenure of Yosef Yitzchak, the geographically displaced sixth rebbe, (chapter 3) sheds light on the crucial function of this visual medium in the maintenance of leadership amid potential disruption. In particular, Katz shows how, through the production of the rebbishe photographs, as well as the circulation of photographs between the rebbe and devotees, Yosef Yitzchak established a virtual court in Poland, while maintaining authority and relationships in absentia. Or, consider how, as Katz shows, Chabad's visual program builds simultaneously on the tradition of interactive visualization of a rebbe (discussed in chapter 4) and an architectonical infrastructure that detaches the Hasidic court from the person of the rebbe (discussed in chapter 6), thereby driving the movement's messianic ideology and enabling it to cope with the leadership void. dynasty, the RaSHaB, in early twentieth-century Vienna. idea that images should be treated "not only for what they depict but also for how they make us see"--and also that she works under the premise of "multiple visions"--it would have been constructive to know how the images of Chabad effected her own vision (pp. 10, 232). The added value of a more reflexive positioning becomes apparent in one revealing moment in which the author does locate herself in relationship to her field of study. As she writes: "In the weeks after I lost my own mother prematurely and inherited her precious family photograph albums that she spirited out of the Soviet Union in the late 1970s, I felt inexplicably moved by the gentle intimacy of Yosef Yitzchak's portraits. Although I had previously cynically dismissed the portraits' identification with RaSHaB as an attempt to alleviate the stigma of the female gaze, I came to see RaSHaB's presence as consciously inscribed in Yosef Yitzchak's portraits. In confronting photograph after photograph of my teenage self imitating what I always saw as my mother's larger-than-life beauty with the same pout and disinterested eyes I knew by heart from her family photographs, I could see RaSHaB's likeness posthumously embedded in the life portraits of Yosef Yitzchak" (pp. 60-61). This moment is memorable not only because it captures the author's own intimate reflections on the recent death of her mother, but also because it provides us with a glimpse of how Katz has come to change her view of a particular Chabad object. By utilizing her positionality in this way, she traces an unexpected layer of the object's already intricate aesthetics. I hope this book will set an agenda for scholarship on both Jewish visual and material culture, as well as on the Chabad movement and the ongoing development of its visual world. While the book teaches us about the power of visual representations, its quality also reminds us of the strength of good textual representations. Citation: Michal Kravel-Tovi. Review of Katz, Maya Balakirsky, The Visual Culture of Chabad. H-Judaic, H-Net Reviews. August, 2011. 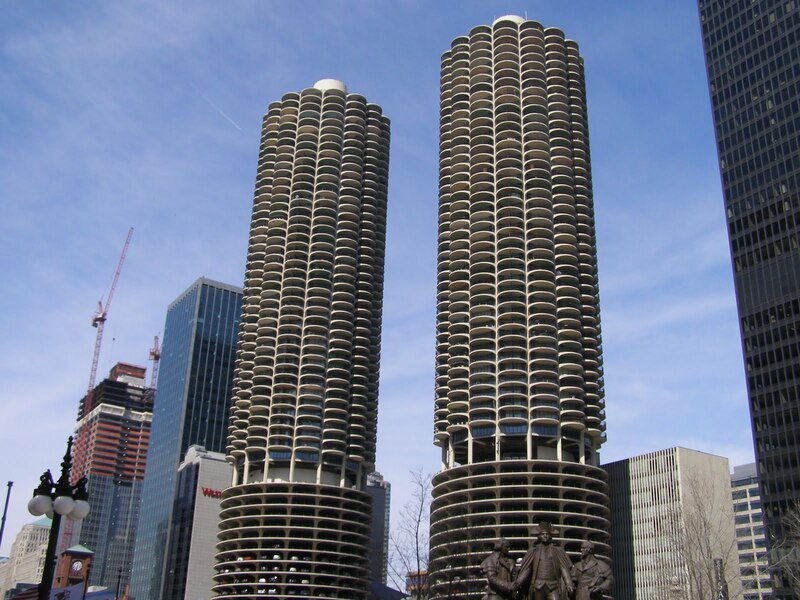 I am pleased to learn of a major retrospective of the architecture of Bertrand Goldberg in Chicago this fall. Goldberg was one of America's most innovative architects of the 20th century, and one of the few full-blooded pre-WW II Jewish modernists born in the United States. (Louis Kahn, for example, a very different sort of architect was born in Estonia). The Art Institute of Chicago has organized a landmark exhibition exploring the work of Bertrand Goldberg (1913-1997), one of the most innovative modern American architects. On view from September 17, 2011, through January 15, 2012, in the Modern Wing's Architecture and Design Galleries (283-285), Bertrand Goldberg: Architecture of Invention is the first comprehensive retrospective of the architect's work, featuring more than 100 original drawings, models, and photographs, as well as significant examples of his rarely-shown graphic and furniture design. Long recognized for his seminal contributions to the built environment of Chicago, most notably his groundbreaking design for Marina City (1959-67), this exhibition showcases his progressive vision, dramatic architectural forms, and inventive engineering with a wide range of built and experimental projects. As a tribute to Goldberg's career, the Art Institute has specially commissioned a stunning installation by John Ronan Architects and graphic design firm Studio Blue. Born in 1913 in Chicago, Goldberg began studying architecture in 1930 at Harvard College. In 1932, he moved to Germany to take courses at the Bauhaus in Dessau, before relocating to Berlin to apprentice in the office of architect Ludwig Mies van der Rohe. After his return to the United States in 1933, Goldberg worked for Chicago modernist George Fred Keck while studying engineering at the Armour Institute of Technology (now the Illinois Institute of Technology). Goldberg established his own firm in 1937 with a range of innovative work in housing and industrial design before devoting his practice to large-scale urban projects. His architectural achievements were recognized with numerous professional awards: in 1966, Goldberg was elected to the College of Fellows of the American Institute of Architects, and in 1985 he was awarded the Officier de l'Ordre des Arts et des Lettres by the French government. During his lifetime, his work served as a touchstone for a generation of international architects and critics including Reyner Banham, the Japanese Metabolist group, and members of the British architectural collective, Archigram. Today, Goldberg's pioneering cross-disciplinary approach resonates with the diverse practices of contemporary architects and designers. Bertrand Goldberg: Architecture of Invention draws on the important holdings of the Art Institute's Bertrand Goldberg Collection and Archive, which includes more than 30,000 drawings and models spanning the architect's career from the 1930s to the 1990s. This rich archival collection was given to the Art Institute in 2002 by the Goldberg family, and includes such seminal projects as Marina City, River City (1972-89), and the Health Sciences Center in Stony Brook, New York (1965-76). This work is complemented by early student Bauhaus drawings borrowed from the Harvard Art Museums and furniture from the Goldberg family's private collection, which makes its public debut in this exhibition. The exhibition is organized thematically, demonstrating how Goldberg's work mirrored the changing priorities of American culture at large, beginning with his early interest in prefabrication and low-cost housing, his projects for middle class leisure culture in the 1950s, his expanded engagement with new cultural programs throughout the 1960s, and the large-scale projects for hospitals and urban planning in his later practice. Many of Goldberg's early projects experimented with new materials and manufacturing processes, including prefabricated plywood structures and designs for mobile medical facilities for the United States government during World War II. 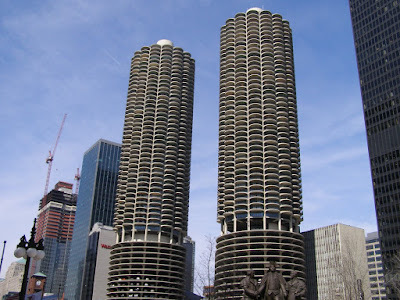 As his work grew in scale, Goldberg explored new building technologies to realize his distinctive designs, from the daring structures of the Marina City towers and Raymond Hilliard Center (1963-66), to the groundbreaking cantilever of his Prentice Women's Hospital (1969-74). He worked tirelessly to redefine conventional building and urban typologies and pioneered some of the first mixed-use developments in the United States at a time when American cities were facing serious problems of population and commercial development. The university and hospital buildings of his mature career demonstrate his interest in improving the quality of education and health care through new spatial configurations designed to function as close-knit "villages" promoting healing and social exchange. From his experimental roots at the Bauhaus to his visionary designs for urbanism, Bertrand Goldberg's 50-year-long career reflects a remarkable engagement with issues central to his time developed through a unique approach to structure and form that defied architectural convention. His steadfast commitment to innovation across a multitude of disciplines, including architecture, urban planning, and graphic and industrial design, mirrors the fluid exchange that occurs between these fields today, as practitioners venture beyond the confines of their specializations to provide solutions that transform our social and built environment. Bertrand Goldberg: Architecture of Invention is accompanied by a photography exhibition, Inside Marina City: A Project by Iker Gil and Andreas E.G. Larson . In this exhibition, visitors are offered the rare opportunity to see inside the apartments of Marina City with more than 30 images that explore the relationship between Goldberg's rigorous modular framework for the building and the informal development of these interior spaces by residents throughout its history. Bertrand Goldberg: Architecture of Invention is accompanied by a handsome, fully illustrated, 192-page catalogue designed by Studio Blue. The book, edited by Zoë Ryan, Chair and John H. Bryan Curator of Architecture and Design at the Art Institute of Chicago, features 140 color and 75 black-and-white illustrations, and scholarly essays written by Ryan; Alison Fisher, the Harold and Margot Schiff Assistant Curator of Architecture at the Art Institute; Elizabeth Smith, Executive Director, Curatorial Affairs at the Art Gallery of Ontario; and Sarah Whiting, dean of the Rice University School of Architecture. The catalogue, published by the Art Institute and distributed by Yale University Press, will be available beginning October 3, 2011, at the Art Institute's Museum Shop for $60. Bertrand Goldberg: Architecture of Invention is organized by the Art Institute of Chicago and curated by Zoë Ryan, Chair and John H. Bryan Curator of Architecture and Design, and Alison Fisher, the Harold and Margot Schiff Assistant Curator of Architecture, with guest curator Elizabeth Smith, Executive Director, Curatorial Affairs, Art Gallery of Ontario. The exhibition and its publication are made possible by the generous support of the Richard H. Driehaus Foundation, the Graham Foundation for Advanced Studies in the Fine Arts, the Albert Pick, Jr. Fund, the Architecture & Design Society at the Art Institute of Chicago, and by anonymous donations. Additional support is provided by the Exhibitions Trust: Goldman Sachs, Kenneth and Anne Griffin, Thomas and Margot Pritzker, the Earl and Brenda Shapiro Foundation, Donna and Howard Stone, and Melinda and Paul Sullivan. Inside Marina City is made possible by the generous support of the Architecture & Design Society. Additional sponsorship is provided by The Print Lab. Museum free to Illinois residents on first and second Wednesdays of every month.